I have some yummy mango recipes coming your way since The National Mango Board reached out to me to send me some mangos. Who wouldn't want a box of beautiful ripe mangos to arrive on their doorstep? 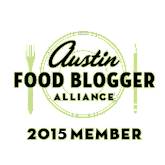 I was also lucky enough to attend a happy hour event of theirs during my recent BlogHerFood Conference and this recipe was one I immediately fell in love with. I actually made this recipe for my husband for Father's Day with steak and Parmesan potatoes and he loved it. 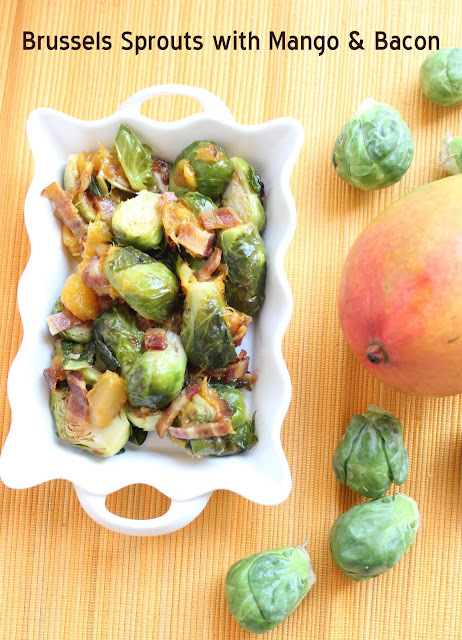 It's such a great combination of sweet Mango, salty bacon and bitter Brussels sprouts. Of course, he might have eaten anything I put in front of him since I feel like he has been doing most of the cooking lately. I go through phases sometimes where I don't even seem to make macaroni and cheese and we eat out a lot or my sweet husband cooks a lot! When he makes me dinner he likes to prepare the plate beautifully and present it to me with a proud smile and say, "Look who's The Apron Guy!" He should get so much of the credit for this blog since he is always behind the scenes testing recipes, cleaning the kitchen and putting up with my endless ideas and photography. 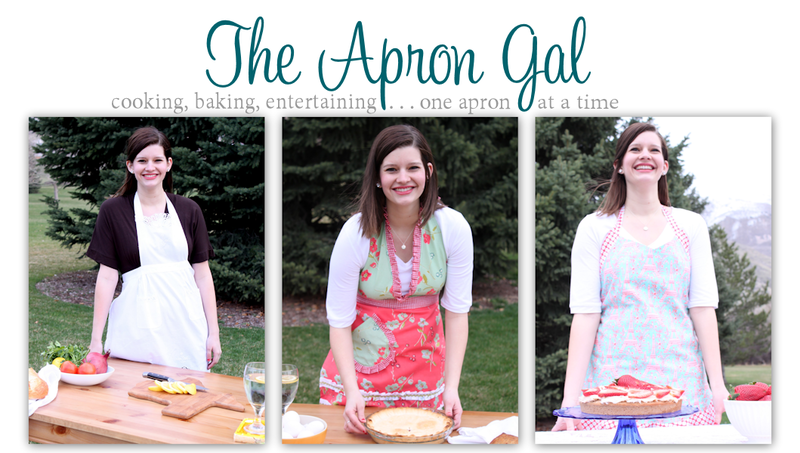 Needless to say The Apron Guy approves of this recipe and more importantly of me picking up my cooking again! Enjoy this as a side to chicken or steak or even eat it as meal since it's packed with vegetable, fruit and protein all in one! Peel, pit and dice the mangos. For instructions on how to do this like a pro, see the step by step instructions here. Place in a bowl and set aside once diced. Please chopped bacon in large non-stick skillet on medium heat. Cook until crisp and fat renders, about 8-10 minutes. Remove bacon to a paper towel lined plate and set aside. Remove all but 1 tablespoon of the bacon fat from the skillet and increase heat to medium high. Add Brussels sprouts and cook for 2-3 minutes. After 2-3 minutes, add mango brown sugar, salt and pepper and cook an additional 5-7 minutes, stirring occasionally, until Brussel sprouts are fork tender and beginning to brown. Disclaimer: The National Mango Board sent me a box of mangos and I attended a happy hour event with them. I received no other compensation. I truly enjoyed this recipe and wanted to share it with you because it's delicious-not just because I like free fruit.